Robert Calderbank has been reappointed as director of the information initiative at Duke (iiD) for a three-year term beginning July 1, 2019. This summer, Data+ teams deployed cutting-edge data analysis techniques to aid the search for solutions to the global challenge of reliable electricity. Some researchers are determined to do the best they can to keep Syria’s death count -- which may have reached half a million -- from getting lost in the fog of war. Duke statistician Beka Steorts is one of them. The University of Florida's YTORI Magazine profiled iiD faculty member Beka Steorts. Grant Glass, a Ph.D. student in English and comparative literature at the University of North Carolina at Chapel Hill, and his Data+ team used computer algorithms and machine learning techniques to sift through 1,482 full-text versions of Robinson Crusoe to see how it's changed over the years. Saumya Sao and Melanie Lai Wai were proud to share the results of their 10-week Data+ project, Big Data for Reproductive Health. A three-judge federal district court panel in North Carolina again ruled in Common Cause v. Rucho that the North Carolina General Assembly violated the U.S. Constitution in 2016 when legislators manipulated congressional districts for partisan advantage. The case references Jonathan Mattingly's work on gerrymandering. 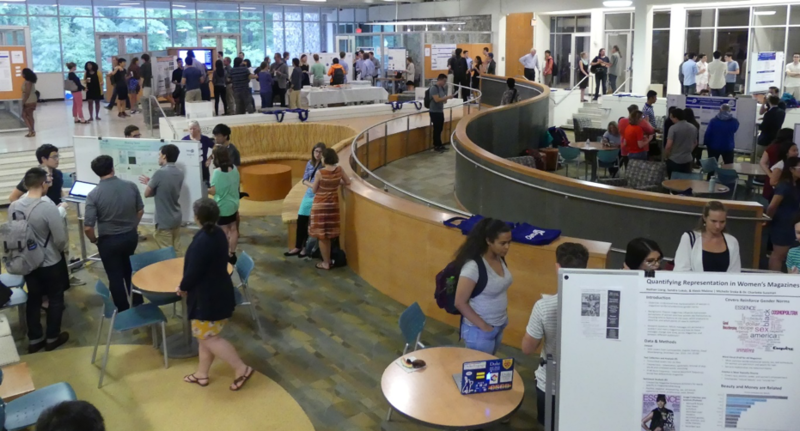 In partnership with Duke’s Office of Information Technology, the Co-curricular Technology Pathways E-advisor Data+ team spent 10 weeks researching and cataloguing the growing list of opportunities at Duke and developed an “e-advisor” app to recommend programs to students based on their unique backgrounds and interests. The Duke CoCurricular Eadvisor, an app developed as part of a Data+ project, comes up with a personalized ranked list of student clubs and programs based on interests and past participation compared to others.